The Precept is that element of your Council Tax that is paid to Middleton Cheney Parish Council. Every year, the Parish Council draws up budgets and calculates how much money it needs for the next Financial Year. These are usually finalised at the December Full Council meeting and then submitted to South Northamptonshire County Council. SNCC co-ordinate the other demands from NCC, Police and themselves and come up with the rate to be paid from 1st April that year. The Budget proposal the Parish Council agreed will be used for the Precept demand 2019/20. The proposed recommendation based on projected figures is to increase the Precept demand in order that we maintain a viable financial position. 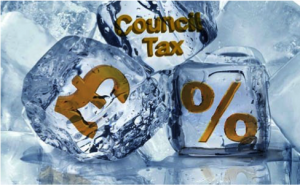 The current suggested proposal is to set the Precept at £129,297for 2019/20 from £126,165 the previous year (2% increase that will appear on Council Tax bills). In addition, there will be District, County and Police elements. It is anticipated/predicted the above income will continue this year. The Parish Council has several Powers and Responsibilities and also a few Duties – legislation dictates the Duties. Burial Grounds and Allotments are 2 of our main duties and therefore Councillors will review any future requirements. Currently reserves for future obligations are held in our Accounts. You will often hear/seen written that "No-one enters public service or local government to reduce services". With this in mind and although knowing the financial position of the Parish Council is currently sound, Councillors need to be prudent on how money is spent in order to maintain services currently offered. Reminder: The Parish Council is a Corporate Body and the decisions taken are those of the Corporate Body and no matter how Cllrs vote they have a corporate responsibility to support any decisions taken. The Parish Council aims to deliver high standards of service but do have restrictions placed on it by Central and Local Government. We also need to take into account County's financial circumstances and the Unitary proposals currently being reviewed. Risk Management– Councillors also have a duty to identify and review the risks to which the Parish Council is exposed and to ensure appropriate controls are in place to provide reasonable assurance against fraud and error. Shortly, you will be receiving your Council Tax Demand Notice from South Northants Council. Detailed in it will be Middleton Cheney's parish element showing an increase. As a Council, we are aware that the services we provide for residents need to be continued but are prudent on how we spend that money. The Precept, a sum of money given to us to keep services running. The financial position of the Council is sound and every care is taken when spending public funds. If you have ideas of where you believe we need to spend money to make further improvements please let us know and we will do our utmost to meet your request or explain why we are unable to. For example, we listened to your concerns regarding speeding in the village and asked Highways to look at the problem with us. 2016/17 was a busy year for the Parish Council and we did our best to stay within budget albeit faced with increasing costs. For your information, periodic Bank Reconciliations are carried out and Risk Assessments on our activities ensuring that financial management is adequate and effective. Each financial year is reviewed and cleared by Internal and External Auditors and we have met all requirements. A very pleasing outcome as it provides independent assurance that our Accounts present fairly our financial position; our finances are in good order; there is good governance and financial management arrangements are sound and effective providing value for money for you, the taxpayers. Our aim, as always, is to balance the budget and keep our element of your Council Tax to a minimum. This year the Parish Council Finance Working Party inevitably identified and had to recommend some budget amendments whilst allowing the Council to protect and maintain services. Shortly there will be other budget pressures to be faced together with inflation running costs for the services we provide. We are acutely aware that times are difficult and recognise many of our residents are facing increasing challenges and we are committed to do all we can to support you. Our aim is to continue to deliver the highest standards of service and we welcome your comments or suggestions on how you view our service. Importantly, with your feedback we can continue to improve the way we work. Finally, if you would like to know the areas the Parish Council spend money on details are on the website under the appropriate heading of Council Tax. The reason why the Precept increased is that there are a smaller number of houses participating due to Government changes connected to the Welfare Reform agenda i.e. less residents participating in the overall amount we need to continue with the services residents do get. However, with the new developments there will be more people participating eventually and therefore residents may see a reduction when these households do participate, or no increase. Each financial year has to be reviewed and cleared by External Auditors. Refer below to see what residents in M.C. currently get. If there are any sensible suggestions on what we can eliminate please let me know. The difference between a payment last year (£127.33) and this year (£138.60) is an increase of £11.27 for the year which means 94p a month for the services provided by the P.C. We are a large village and therefore our costs are much higher than other Parish Councils - one of the largest in Northamptonshire C.C. so no comparison to say, Farthinghoe or Overthorpe or Cropedy. Dog owners: We pay out just under £4K p.a. to have bins emptied.